Apex Access Group has a team of trained and experienced working at height specialists who can manage your required installations from start to finish and deliver a top-class service for your domestic or commercial building. Our highly skilled and experienced working at height team use rope access, MEWP (cherry pickers) and abseiling equipment which means that we are able to get to those hard to reach places and complete installations efficiently, reducing the costs and risks that can sometimes be involved with this type of work. 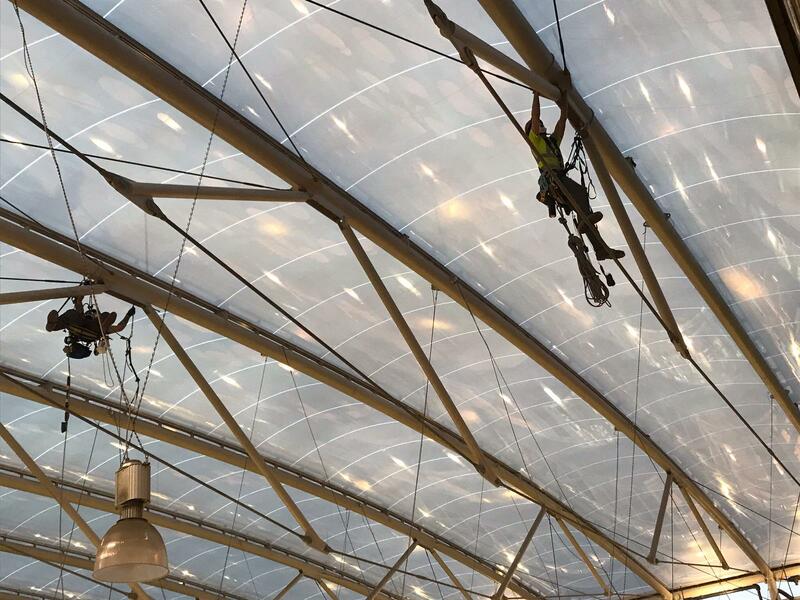 Installations carried out using our rope access teams are quicker and more economical than traditional building methods like scaffolding and the use of mechanical platform systems. Working at height minimises disruption to public access and to your business and has a very low impact on the fabric of the building. It’s also the safest method of access, with less reported incidents than other construction activity. Modern construction makes installations more complicated, but our team use abseiling and MEWP to ensure that they can easily access all areas of a building. We are able to offer our services all over the UK so, no matter where your building is, we can carry out installations safely and effectively. We use strict fall protection systems and our team are highly trained and experienced, minimising the risks associated with working at height and carrying out installations to the highest professional standard.